Suzibloom Flower Pressing and Preservation Based in Lancashire, Suzibloom is a family run business that specialises in flower pressing and preservation of wedding bouquets and special occasion flowers. Your wedding day is special, and so are your flowers. So shouldn't they last more than a day? 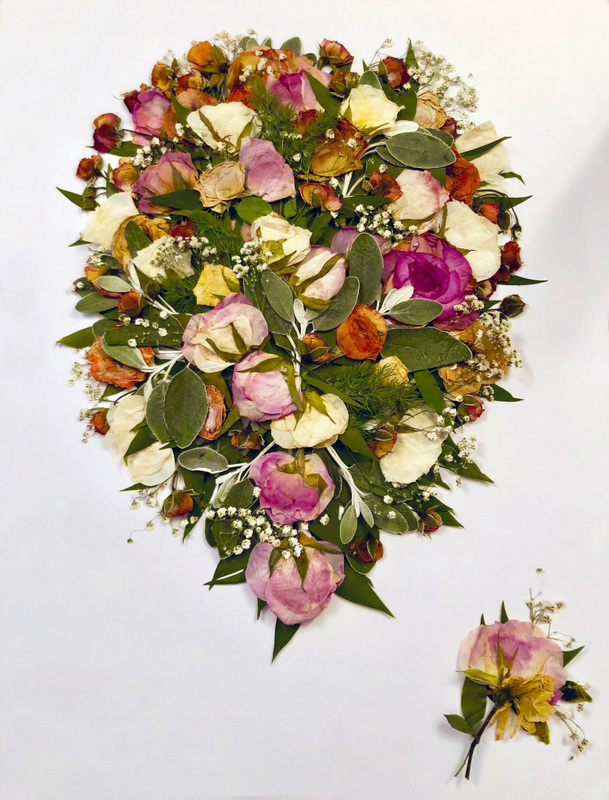 Here at Suzibloom we transform your wedding bouquet and special occasion flowers into a beautiful piece of artwork, allowing you to not only remember it, but see it and treasure it every day for many years to come. Why not also include your wedding photographs, buttonholes/corsages, wedding vows or invitations to your picture? Creating something truly individual and bespoke. The list of what you could incorporate is endless! We offer many different collection and delivery options nationwide. We can also arrange for personal collection if you live locally to Lancashire! We accept all bouquets and flowers for up to two weeks after a wedding or event. Last minute bookings are also welcomed. We look forward to hearing from you and turning your special flowers into more than just a memory.